BSLI is affiliated to Hemwati nandan Garhwal Centrl University Srinagar.All courses running are approved by AICTE,New Delhi courses are recognized by State Government.it is one of the institute of B. S. Group of institutes, Roorkee. 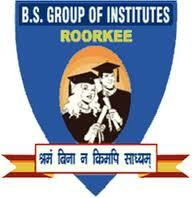 Bishamber Sahai Law Instititue BSLI, Roorkee offers various graduate courses as well as Post Graduate courses. Bishamber Sahai Law Instititue BSLI, Roorkee is affiliated to Hemwati Nandan Bahuguna Garhwal University, Garhwal. List of facilities available at Bishamber Sahai Law Instititue BSLI, Roorkee for students. This page was last modified on 9 August 2013 at 13:08.